The Annual General Meeting (AGM) is made up of delegates from member national authorities (MNA), with each MNA entitled to one vote. 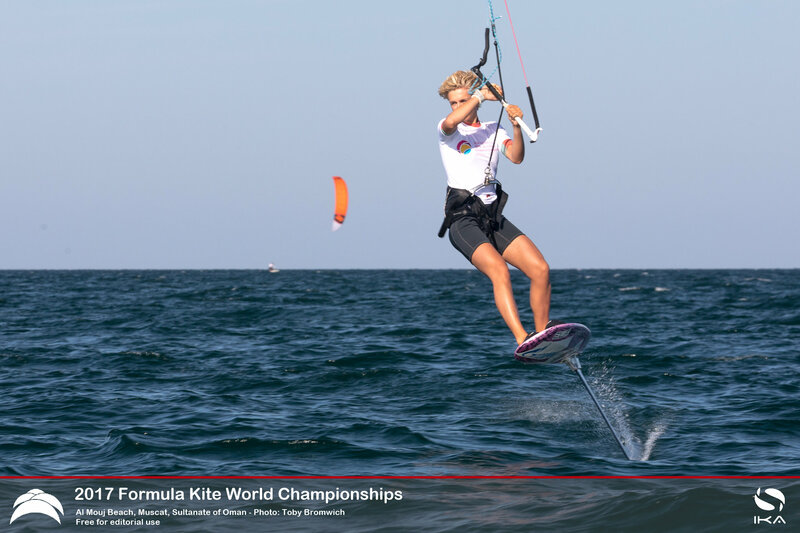 Although a decision was made in May 2018, World Sailing's Regulations allow both the Events and Equipment to be amended at the 2018 Annual Conference by World Sailing's Council before ratification at the AGM. One of the main changes is the move to an equipment registration cycle in line with the Olympic Quad, with the same equipment being eligible from selection until the day after the next Olympic Games. New licensed builders are added every four years from the list of registered series production equipment, ensuring that equipment evolution takes place between Olympic Cycles, but at the same time there is stability and reliabiliy during the Olympic Quad. 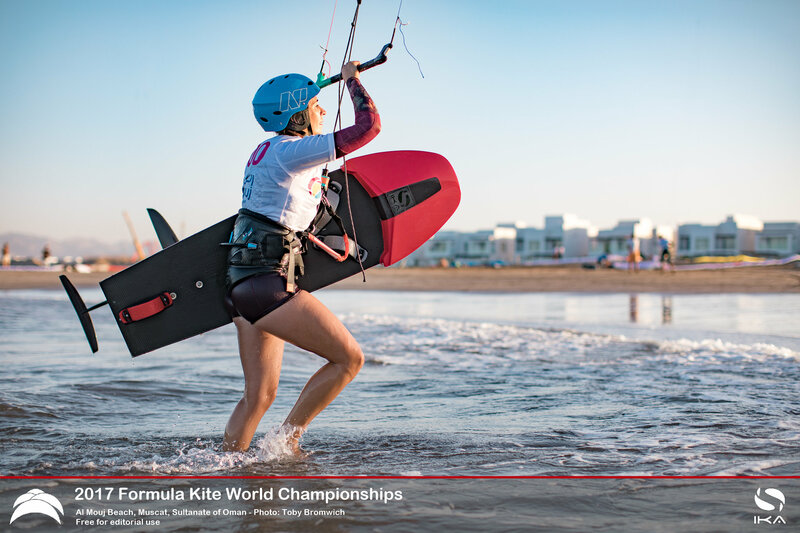 Formula Kite equipment is currently used for all Formula Kite World and Continental Championships but also for the Central American & Caribbean Games 2018, the PanAmerican Games 2019 and the World Beach Games 2019. 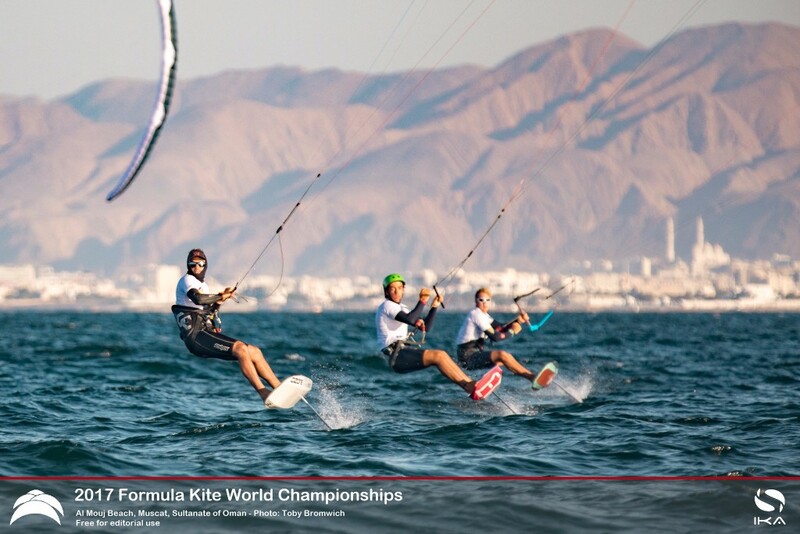 The qualification for the World Beach Games will be based on the Formula Kite Individual World Rankings as of 1st June 2019, with all events from 1st June 2018 onwards counting towards these rankings. 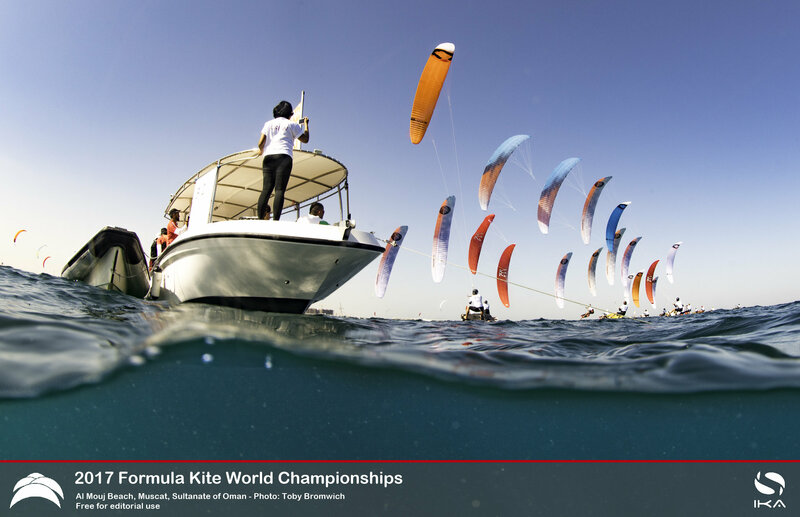 A maximum of 2 competitors per country and gender (20 men, 20 women) is able to qualify. 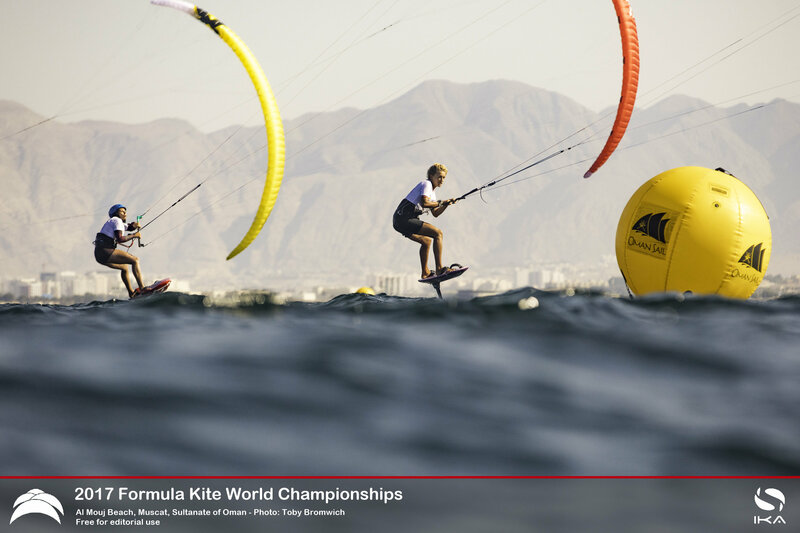 Qualification will be by name rather than by MNA, ensuring that the best kiteboarders in the world are able to attend this event. 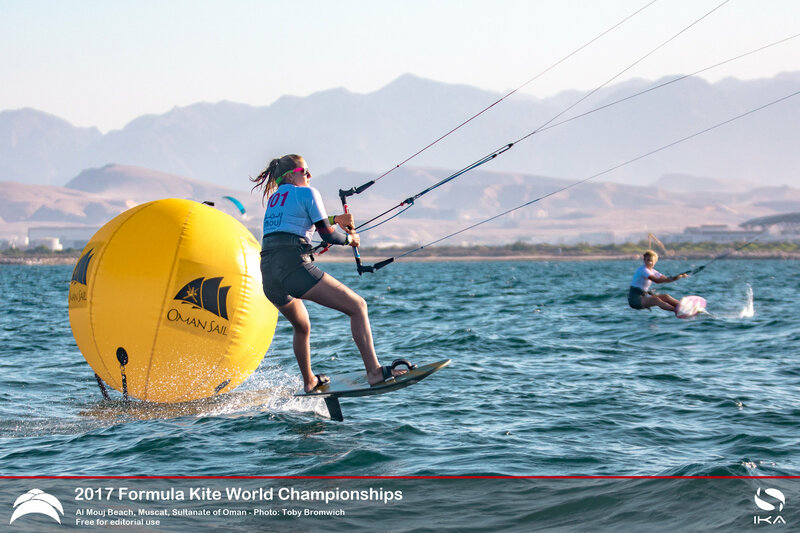 For the 2017-2020 registration cycle, competitors can chose from the current list of registered equipment, with one hydrofoil system and up to four kites per event. The complete equipment lists can be found at http://formulakite.com/onb. Brands can continue to register their most recent series production equipment which will then become eligibly after the Olympic Games 2020. New licensed builders will be selected in the November 3 years before the next Olympic Games from the list of registered series production equipment at that time. Amongst others, the performance criteria is that the equipment is within the top 5 models used by competitors in the world ranking. 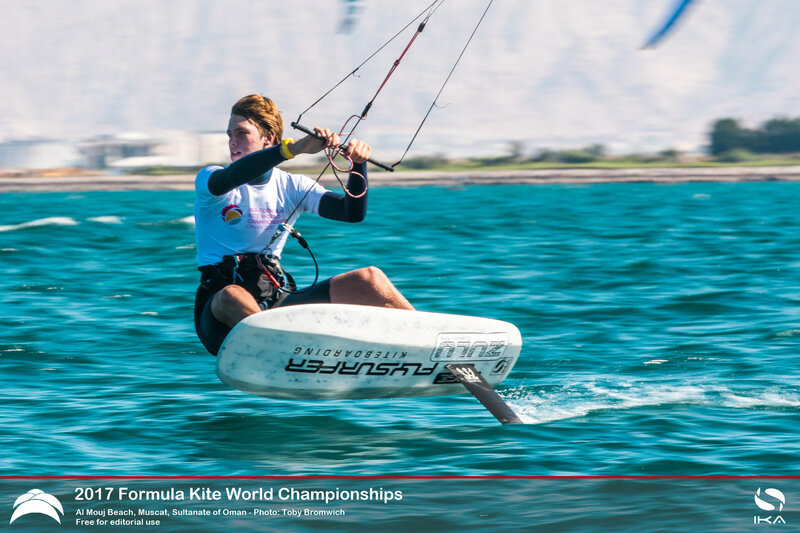 Equipment registration forms are available from World Sailing or the IKA Office. 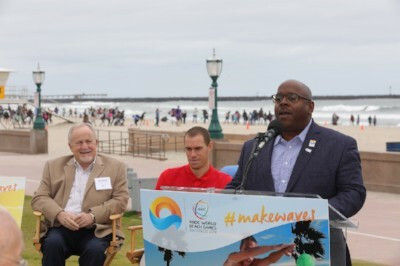 A final list of 15 sports and 17 disciplines due to appear at the inaugural Association of National Olympic Committees (ANOC) World Beach Games in San Diego has been confirmed today. The list is essentially the same as what was proposed during San Diego's presentation at the ANOC General Assembly in Prague last November. ANOC have denied facing any pressure from the International Canoe Federation (ICF) in their decision to remove stand-up paddle from the proposed surfing disciplines put forward last year. 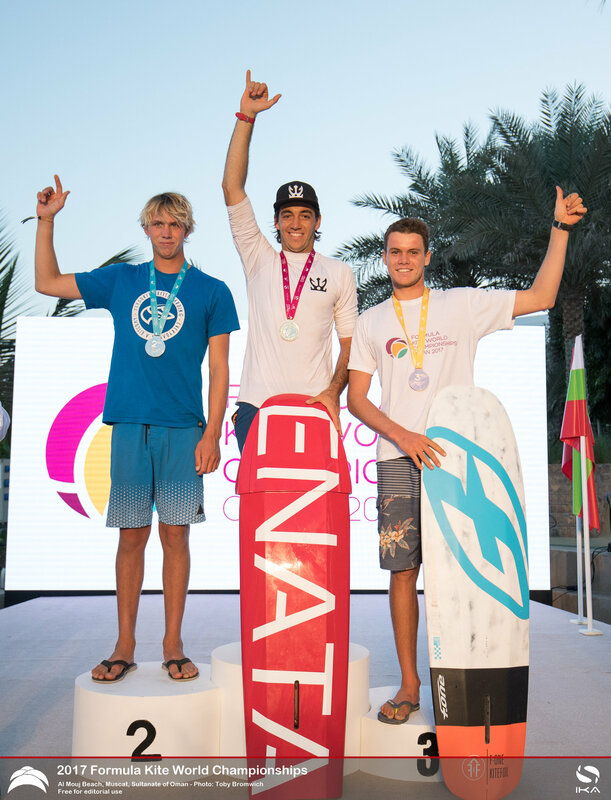 Shortboard and longboard surfing events are now proposed along with water ski jumping and wakeboarding. It comes amid a row between the ICF and the International Surfing Association over who governs stand-up paddle. ANOC claim to have made the decision through consultations only with the ISA. Aquathlon, a combination of running and swimming, is proposed as the sole triathlon discipline, while a five kilometres open water swimming race is also included. BMX cycling, bouldering, beach handball, kata karate, kitefoil sailing, park skateboarding, beach soccer, beach tennis, 3x3 basketball, beach volleyball 4x4 and beach wrestling are also included. 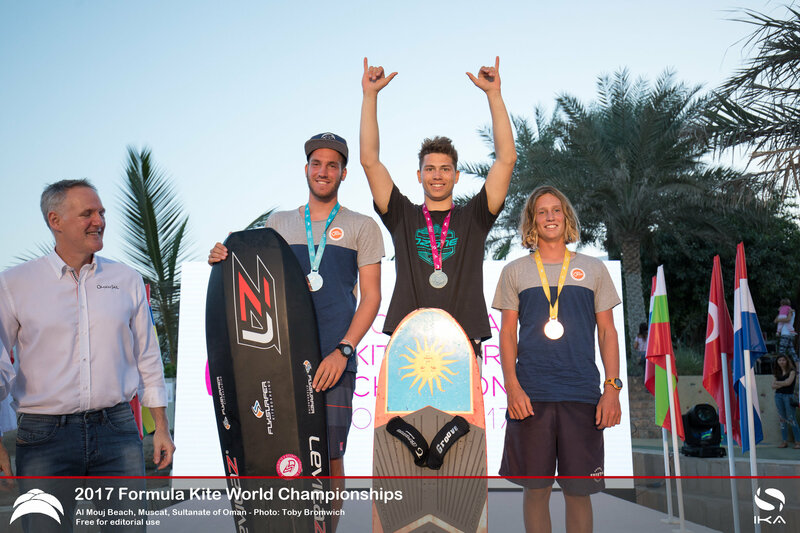 France’s Nico Parlier topped off a dramatic week at the Formula Kite World Championships in Oman with a near-perfect exhibition that only served to underscore his dominance and land him the title. 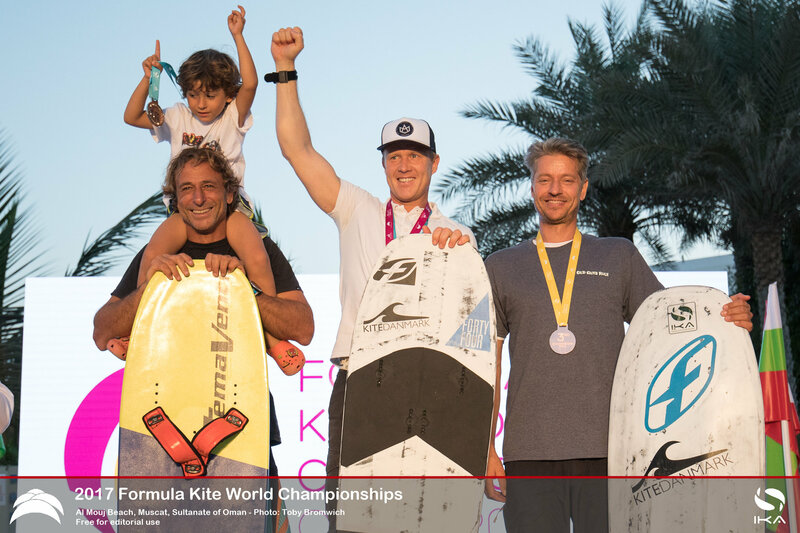 In the tense battles of the climactic final day’s Medal Series decider, the French rider’s sheer pace meant he had the title in the bag even before the last race, adding to the International Kiteboarding Association (IKA) KiteFoil Class world title that he secured in Italy last month. If anything, the US’s Daniela Moroz was even more dominant in the women’s division. 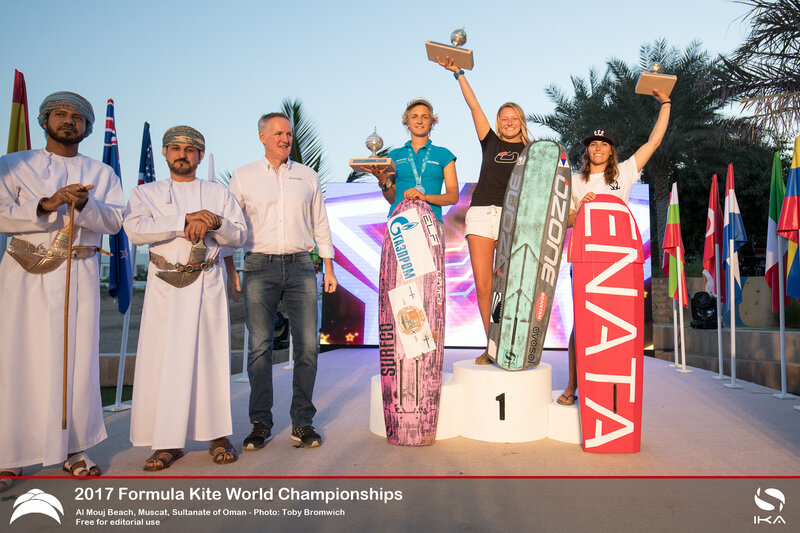 The 16-year-old had already won the IKA Formula Kite World Championship crown even before she took to the water on the last day, securing her back-to-back world titles. The more measured Parlier was equally delighted, if less vocal, about his victory and a performance that left the rest of the pack—the strongest and youngest fleet in years—shaking their heads in awe at his speed and tactical presence. 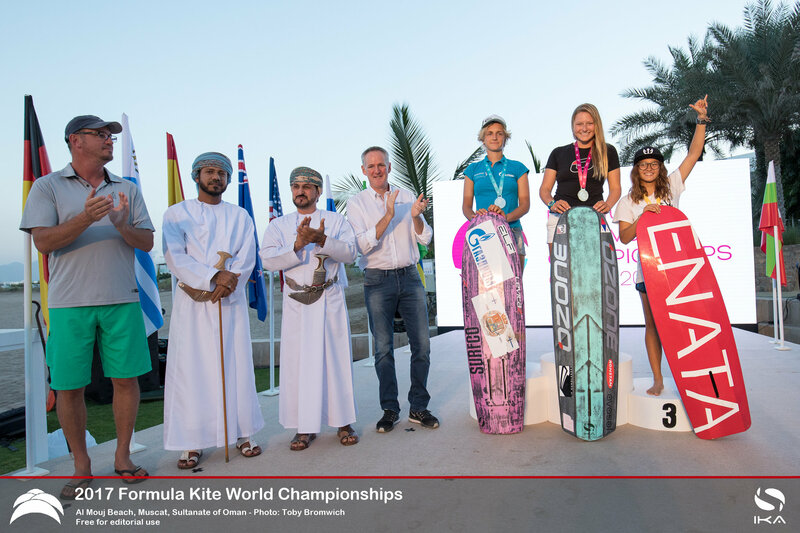 The five-day regatta—hosted by Oman Sail with associate sponsor Al Mouj Muscat—was marked by scintillating kite hydrofoil racing in conditions that varied from 6 knots to 20 knots, challenging the 58 riders, including six women, from 22 countries and six continents. 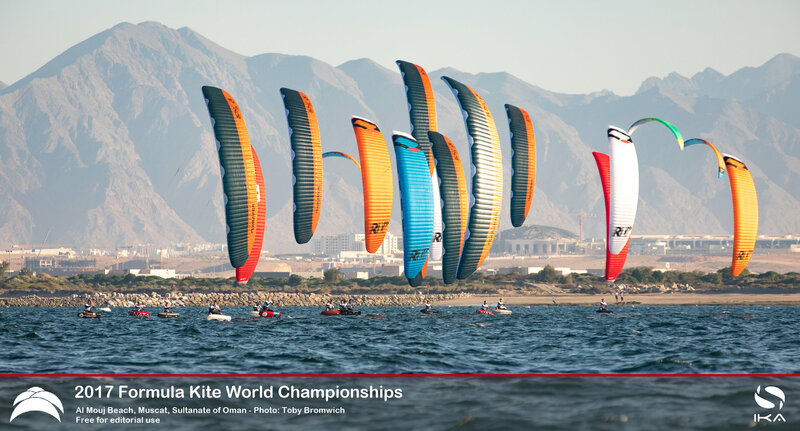 In the epic conditions on the Gulf of Oman, framed by a dramatic mountain backdrop, organisers ran 108 of the “short track” races that lasted barely eight minutes, such is the devastating speed of the cutting-edge hydrofoils and the skill of the athletes who can clock almost 40 knots even in light breezes. 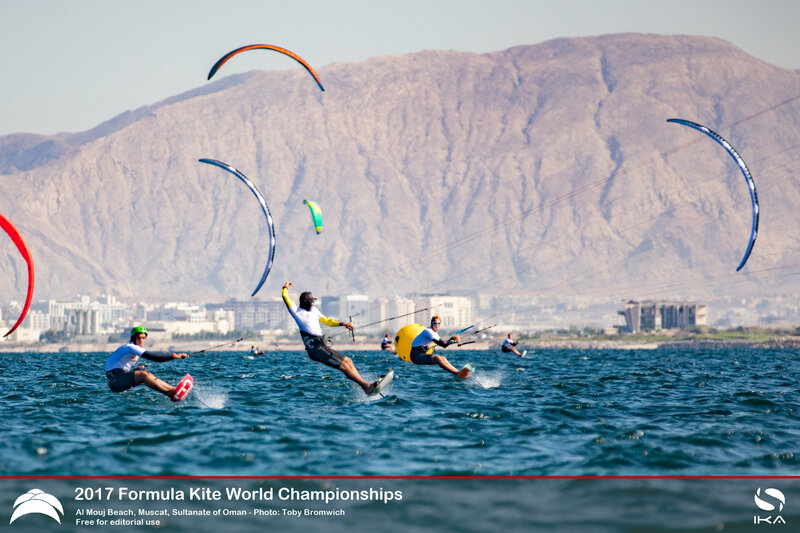 But kite racing is about more than pure speed. Consistency is key, as one of the early leaders, Britain’s Olly Bridge, discovered to his cost in the drama that unfolded in the last day’s Medal Series. 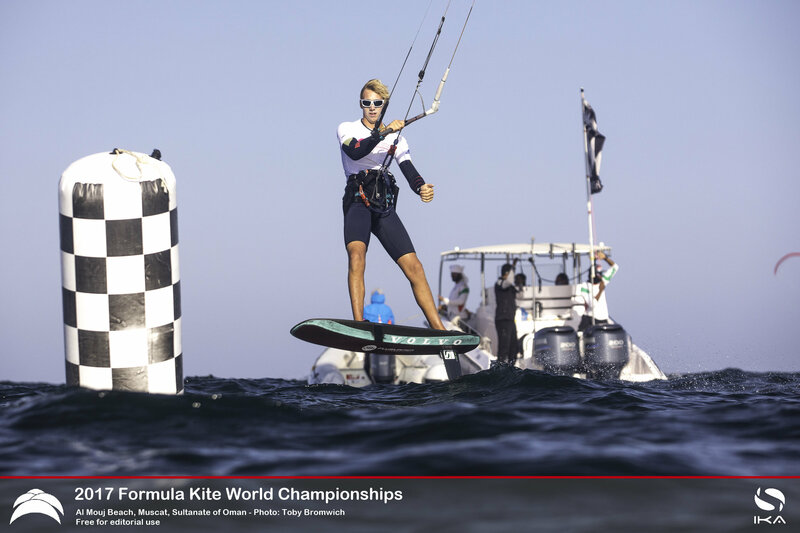 Going into the final day’s competition in second spot overall, Bridge had a slender lead over France’s Axel Mazella. 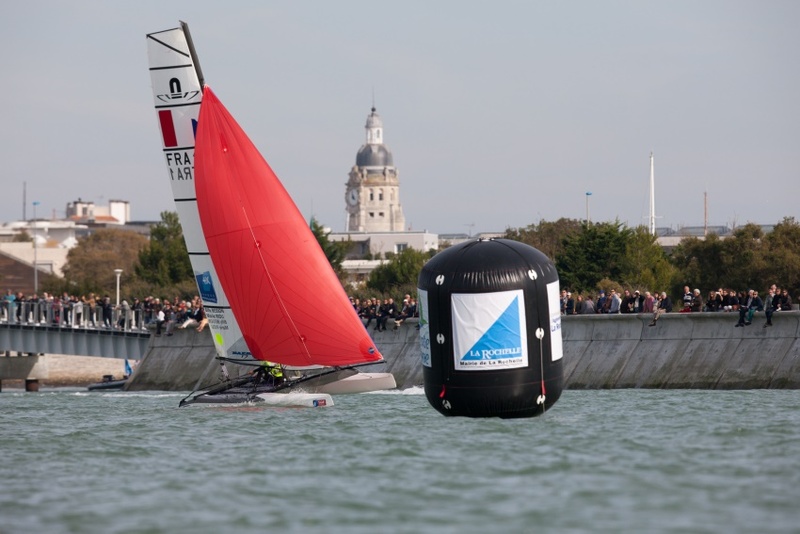 But a disastrous second race where he finished eighth in the 10-strong Medal Series fleet, left him in a tough spot hoping the Frenchman might slip up. However, Mazella responded to the pressure in the fading 6 knots to 7 knots of breeze on smooth waters. 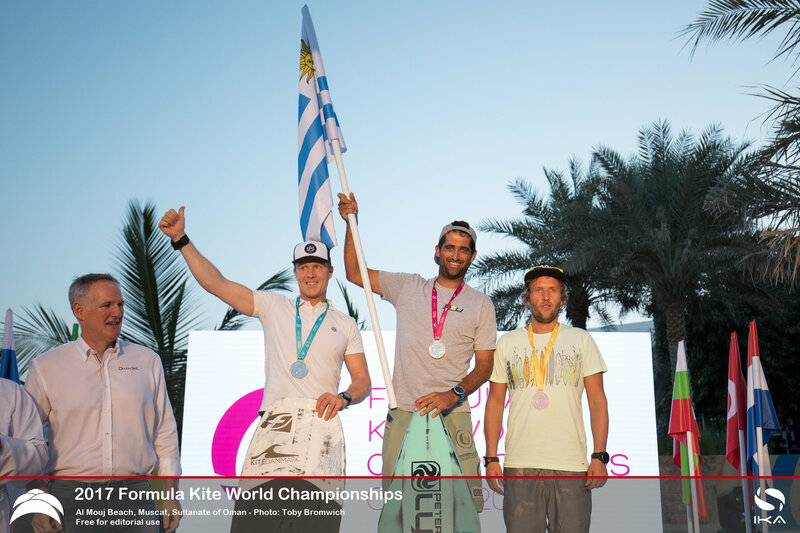 He took a win in the day’s final race, just ahead of Parlier and Bridge, to clinch the second podium spot. 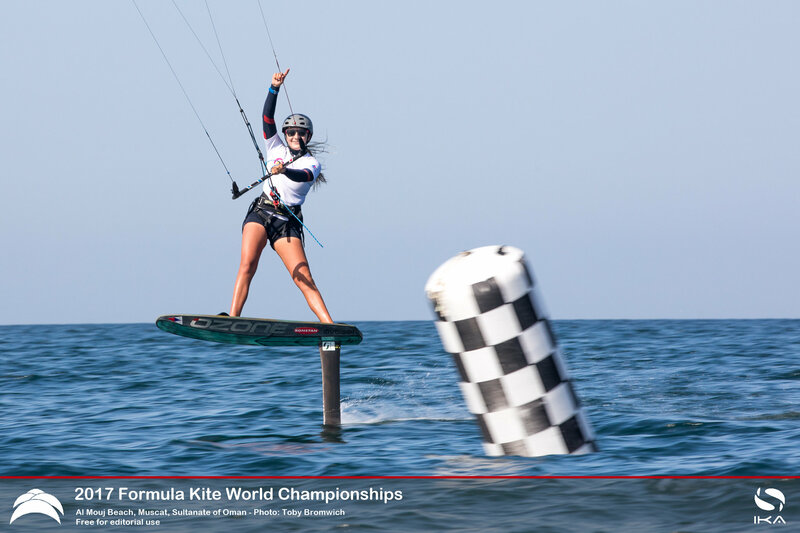 Similarly thrilled was former Formula Kite World Champion, Russia’s Elena Kalinina, who also found herself locked in a struggle for second spot with France’s Alexia Fancelli, in a contest that went down to the wire. 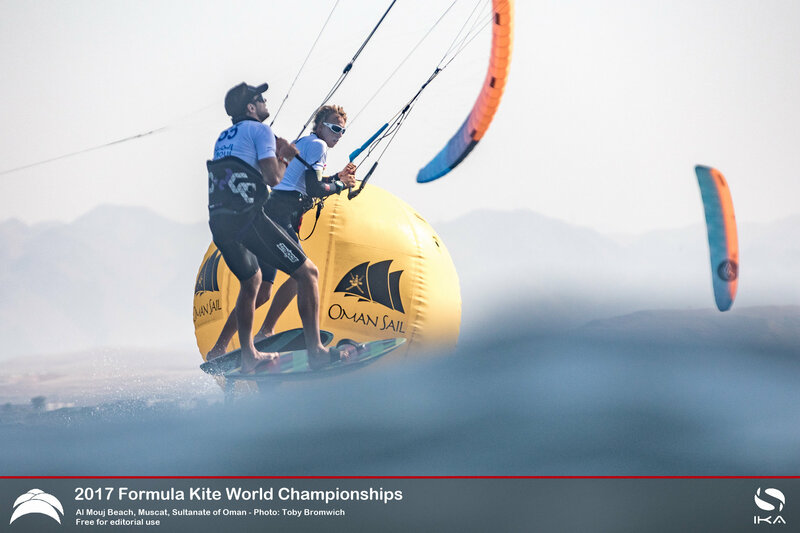 France’s Nico Parlier barely put a foot wrong on the penultimate day of the five-day regatta on the Gulf of Oman’s flat waters, in a shifty 10 to 11 knot breeze, extending his lead and giving himself a healthy advantage. 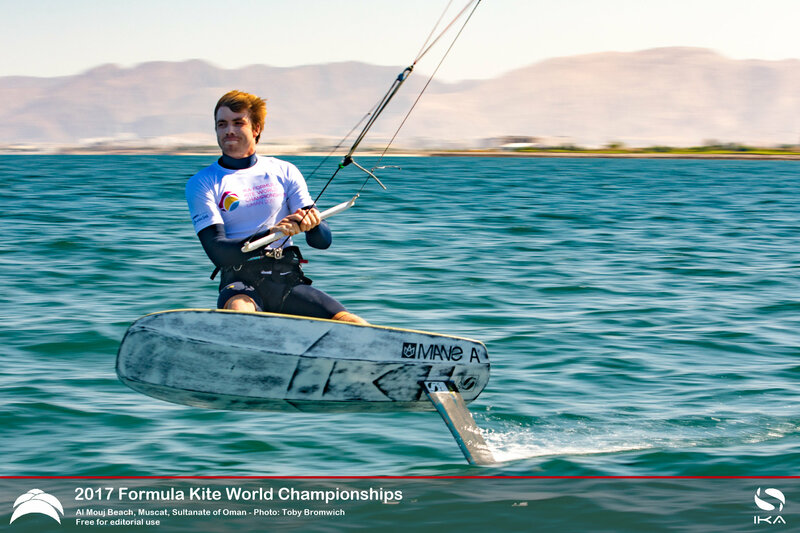 It didn’t all go his way, however, Britain’s Olly Bridge managed to get the better of the Frenchman in one race, notching up his first win and taking second place on the leaderboard. 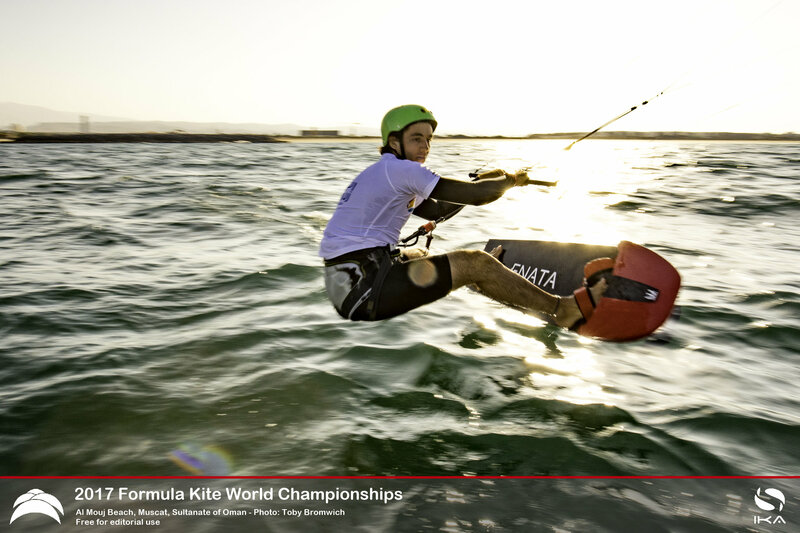 This victory came right after he had failed to complete the previous race and had to be rescued after breaking two lines and seeing his kite tumble into the water. 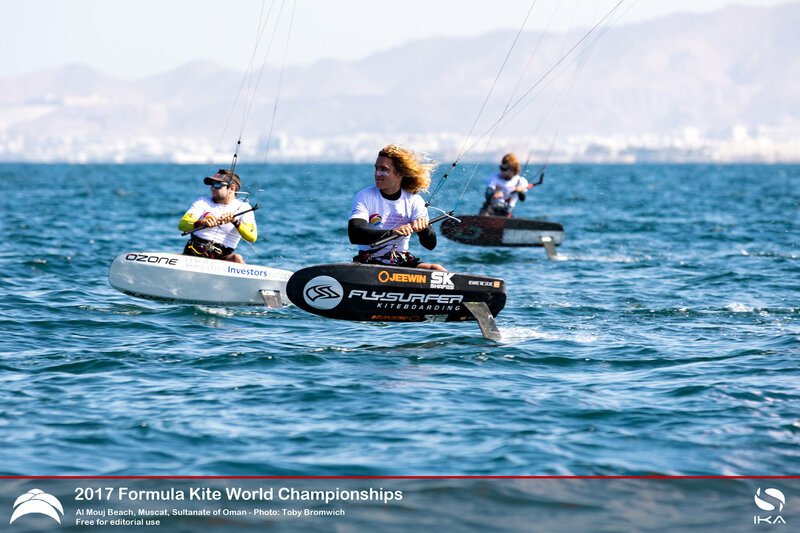 Slovenian Toni Vodisek, 17, put his best foot forward on day four, enjoying his finest day on the water so far with a brace of second and third place finishes in the top fleet’s six races, putting him seventh overall. 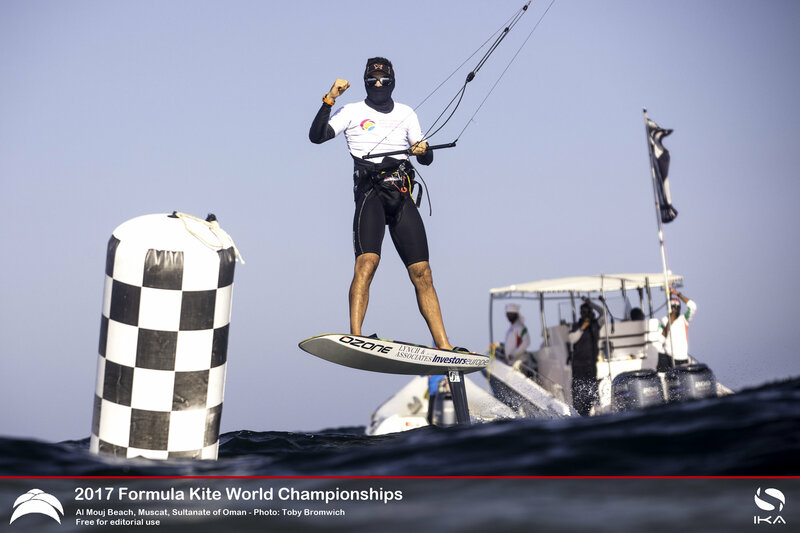 On smooth waters, Parlier was pushed all the way by his friend and countryman Axel Mazella – who managed to overhaul his rival in race one – and Britain’s Olly Bridge. Often with just metres between them, the three had thrillingly-close finishes after high speed sub-eight minute laps of the race track. 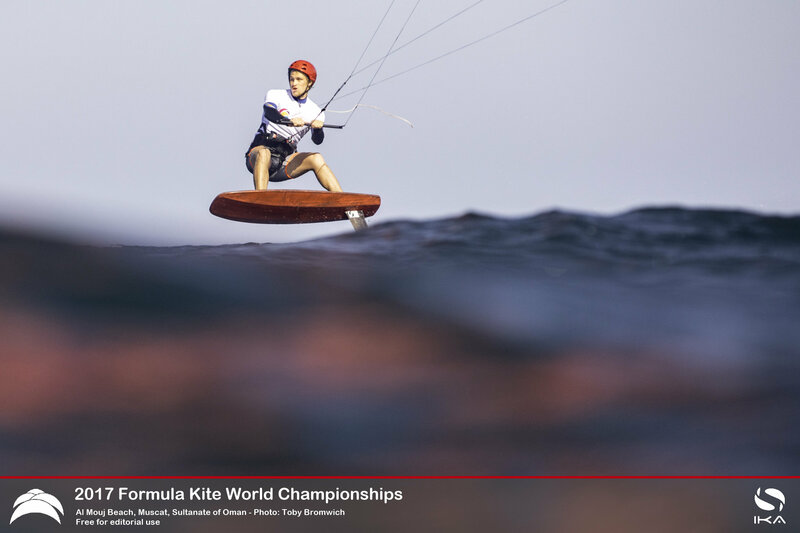 On the basis of Parlier’s near-peerless day, riding on his biggest 19m kite, he would appear to be in the box seat for the title. At one time, Parlier struggled in lighter breezes that perhaps favoured lighter rivals, but he now appears to have mastery of all conditions. 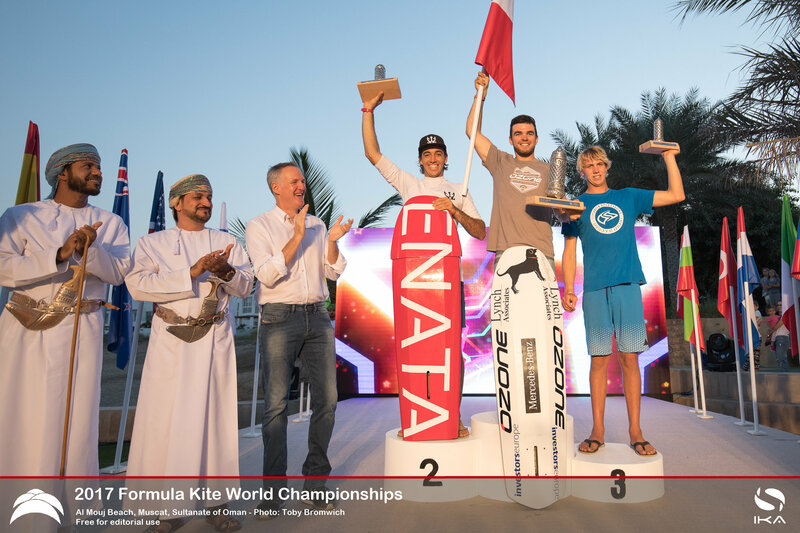 Britain’s Olly Bridge preserved his overnight lead with another all-star performance in breeze that quickly built to over 20knots, churning up the blue waters of the Gulf of Oman off Muscat’s Al Mouj Beach. After an uncharacteristically faltering start to his day that saw him finish third in race one after mistakenly heading towards the wrong mark, the Brit barely skipped a beat winning the next five of the day’s six races. 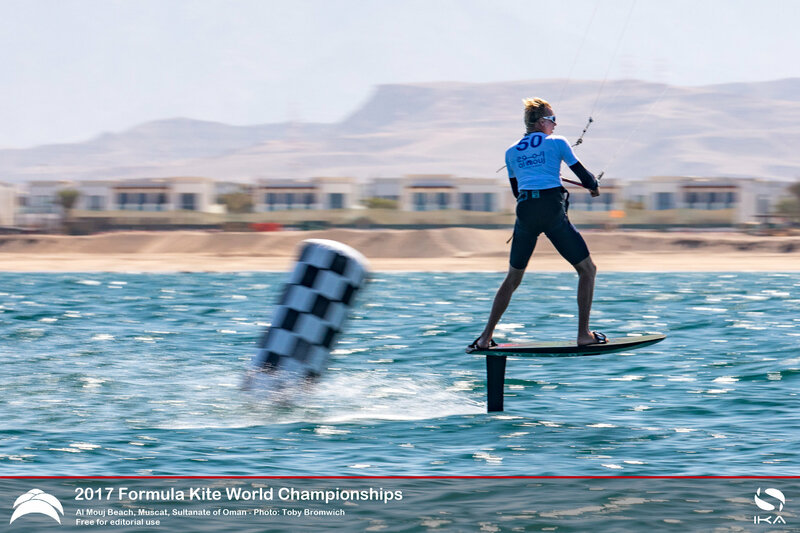 He was able to shrug off the error with a wry smile, safe in the knowledge that he had secured pole position going into the regatta’s two-day finals series that will pit the fastest racers against one another. The younger Bridge sibling, Guy, was not so lucky on day two of the World Championships. He could not repeat his opening form and slipped in the rankings, although a series of high-placed finishes saw him rank fourth on the leaderboard – enough to secure his spot in the finals series that kick off tomorrow. In the end, it was Parlier who secured the lion’s share of the victories with four to Mazella’s two. 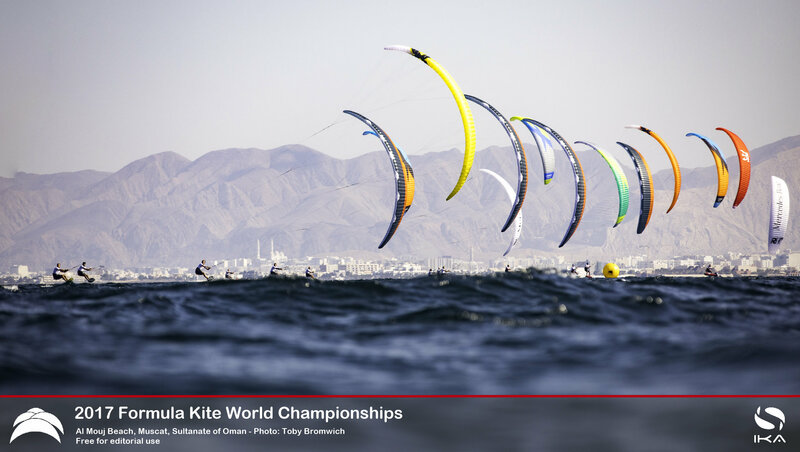 The freshening breeze played to his strengths, though both were still holding down large 15m kites at the finish. 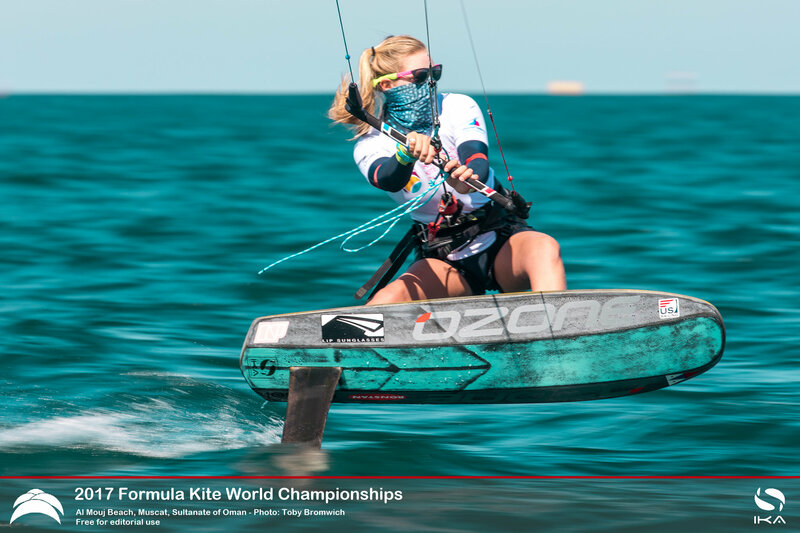 In the women’s fleet the reigning IKA Formula Kite World Champion, US rider, Daniela Moroz, 16, reigned supreme again, winning almost every one of the six races convincingly.